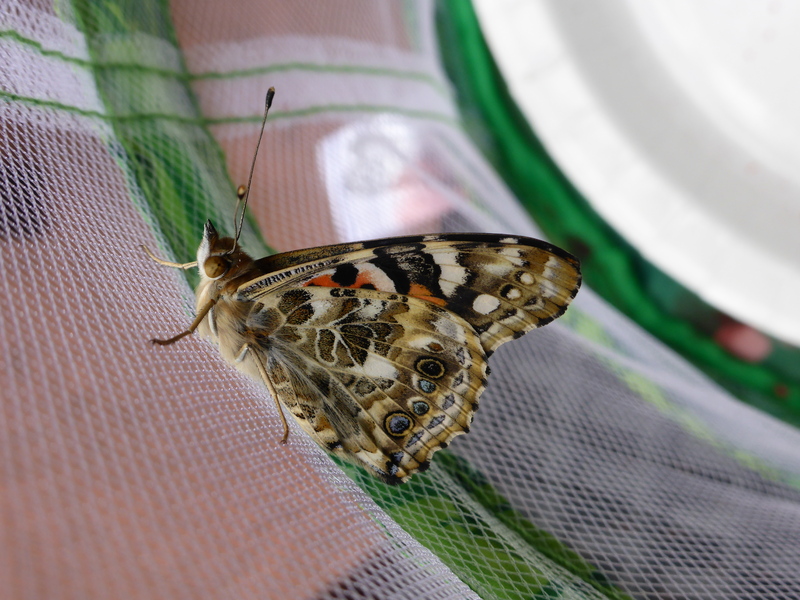 Over the past couple of months, I have been learning how to become a butterfly keeper. 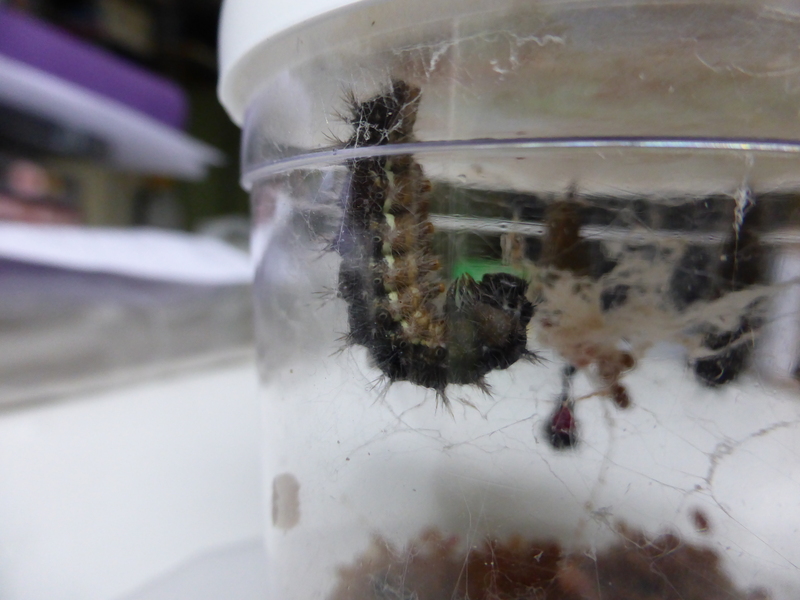 I started off with no expectations from a pet insect, but to my surprise my relationship with them grew. 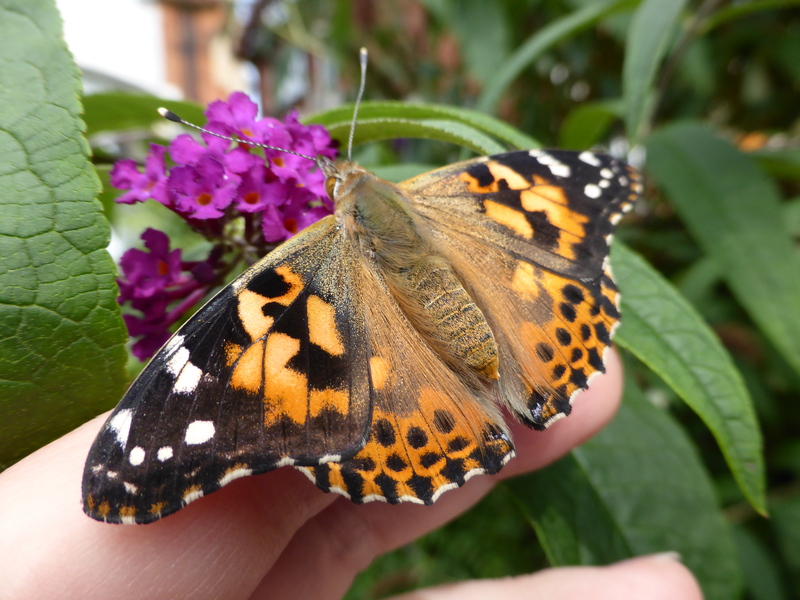 From tiny caterpillars to fully-fledged beautiful adults, I’ve seen it all. And now that they’ve flown the nest, I’m really missing them. This summer my Dad had a hip operation, and I really wanted to cheer him up. My first thought was to get a puppy, but then I considered that a boisterous puppy might not be the best pet for someone just getting back on their feet. 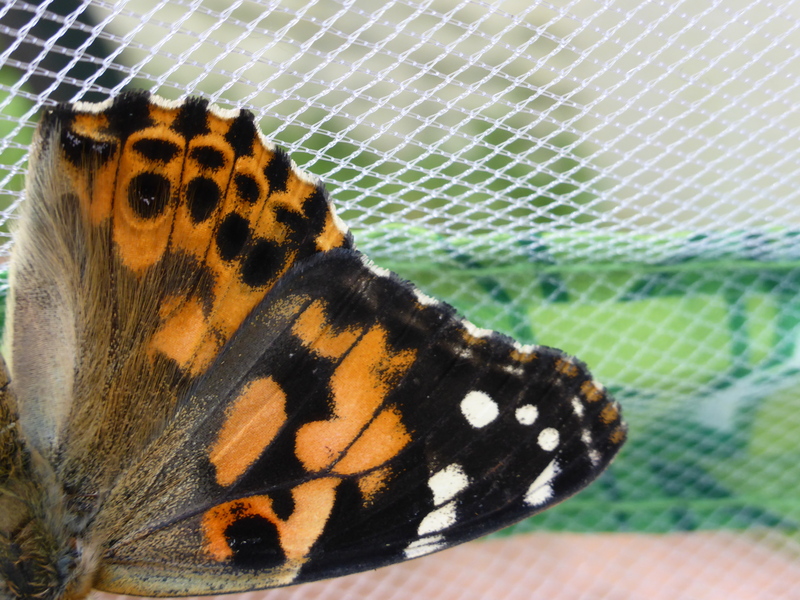 Surfing the web for answers, I hit upon a rather different kind of pet… butterflies. 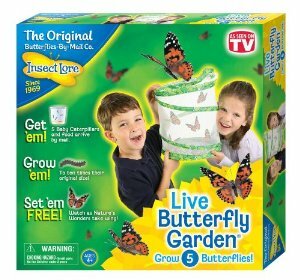 I have no experience at all in this field, so I decided to buy a really user-friendly butterfly rearing package from a company called Insect Lore. Promising to contain everything I would need, and with easy to follow instructions, this little box looked ideal. And yes, it’s meant for children. And no, that doesn’t bother me. 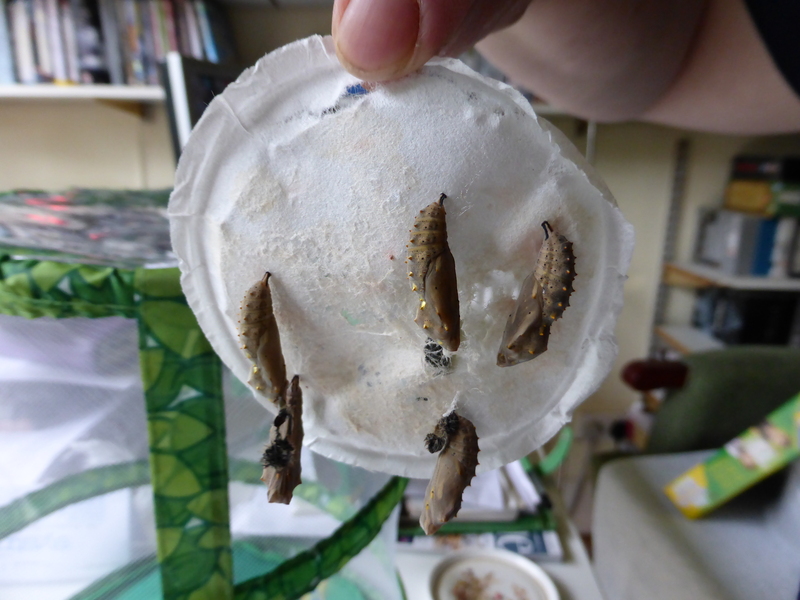 A few days after my kit arrived in the post, the jar of caterpillars was on my doorstep. They were so incredibly tiny. 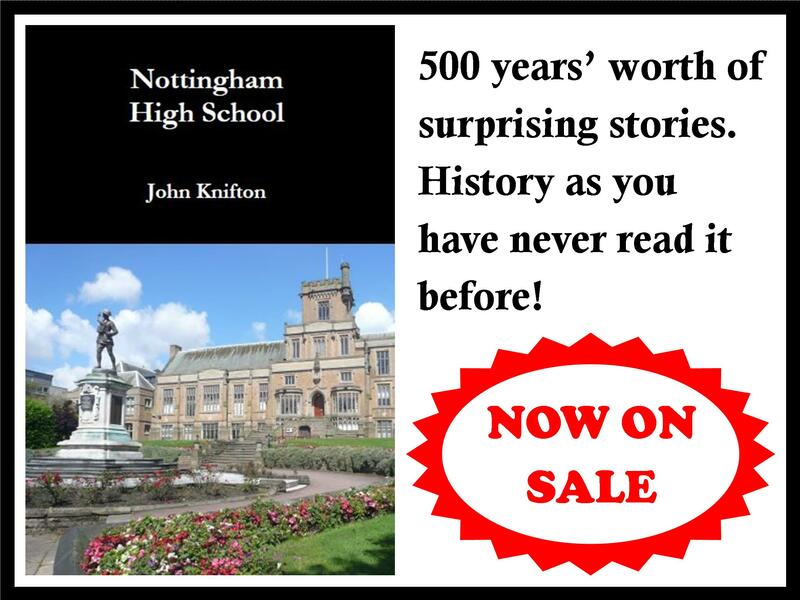 But not for long! They munched their way through all the food in the jar, and they became real whoppers. 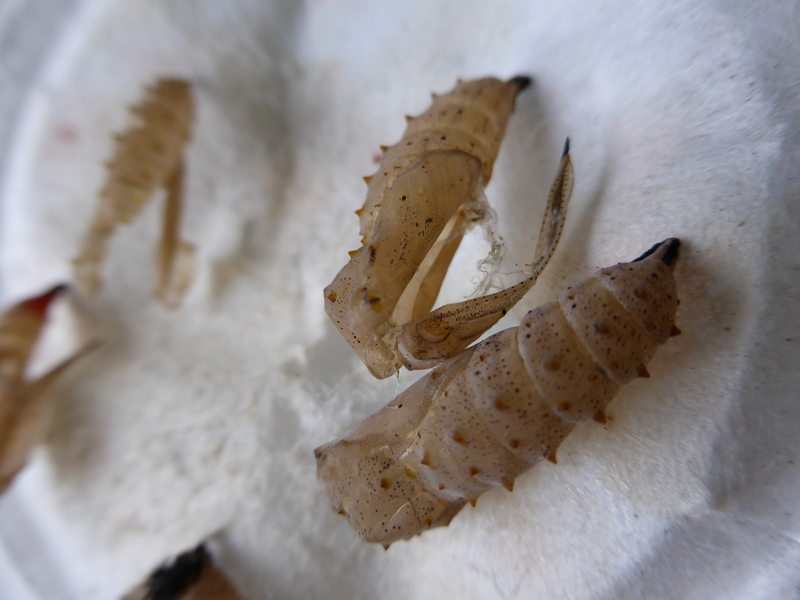 They even shed their skins several times. Fascinating, but also kind of gross. 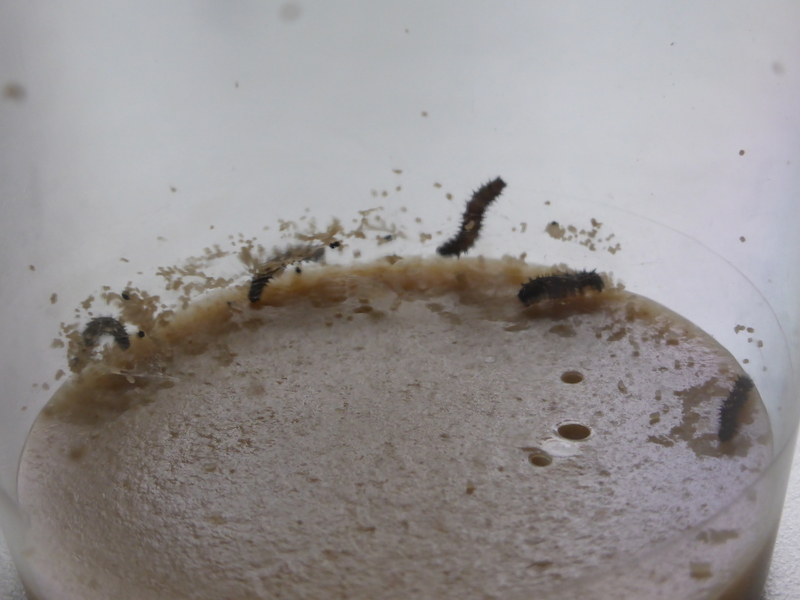 After a few weeks, they succumbed to the call of the wild and climbed up to the top of the jar… ready to become chrysalides (I’m told this is the correct plural of “chrysalis”). 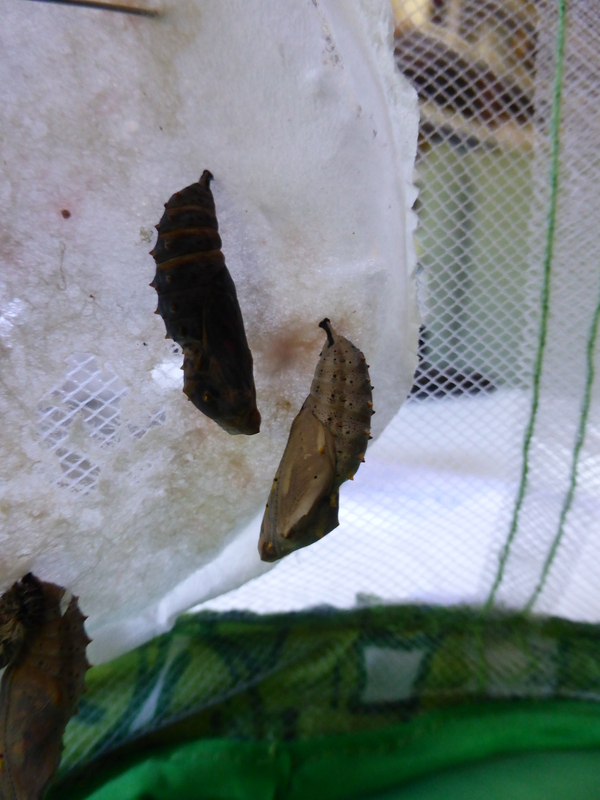 As they hardened into chrysalides, I thought the show was all over. 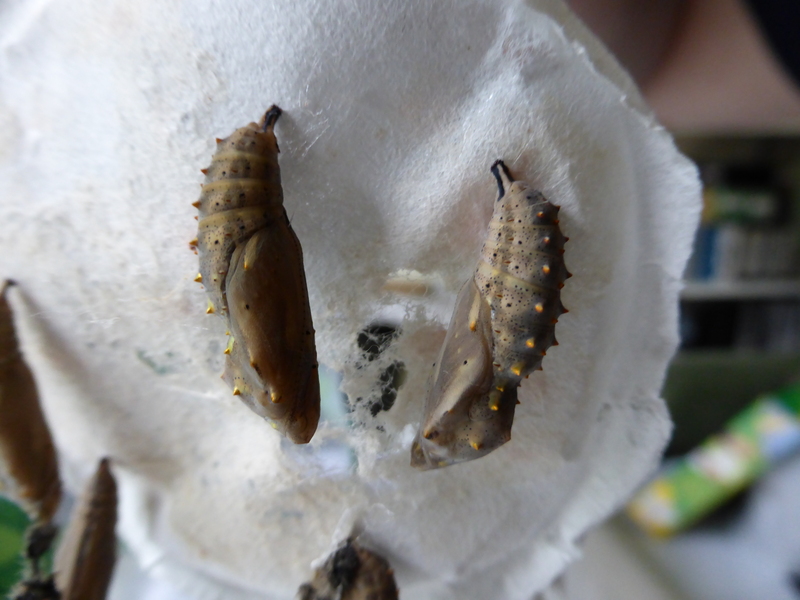 After the cuteness of the hungry hungry caterpillars, and looking forward to the beauty of the Painted Lady butterfly, I was pretty much convinced that the chrysalis would be a boring middle stage. How wrong I was! 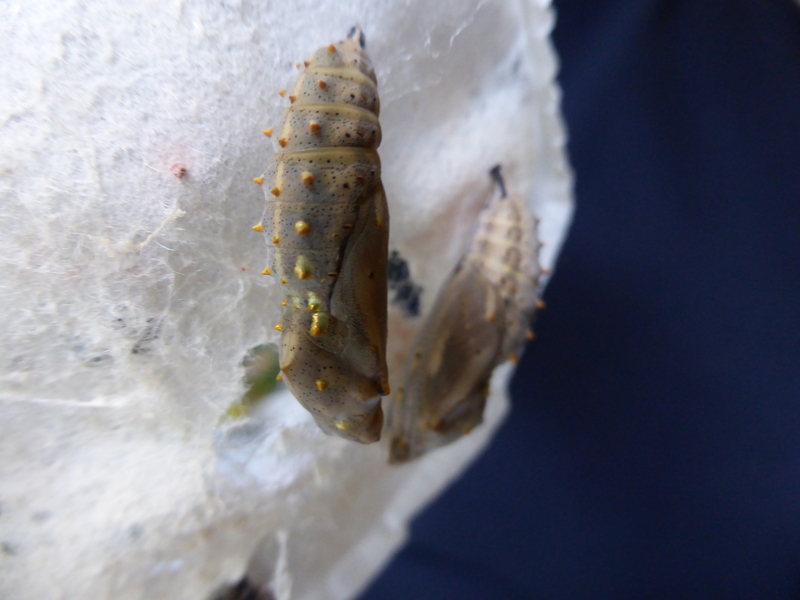 Each chrysalis was spotted with beautiful golden spots. 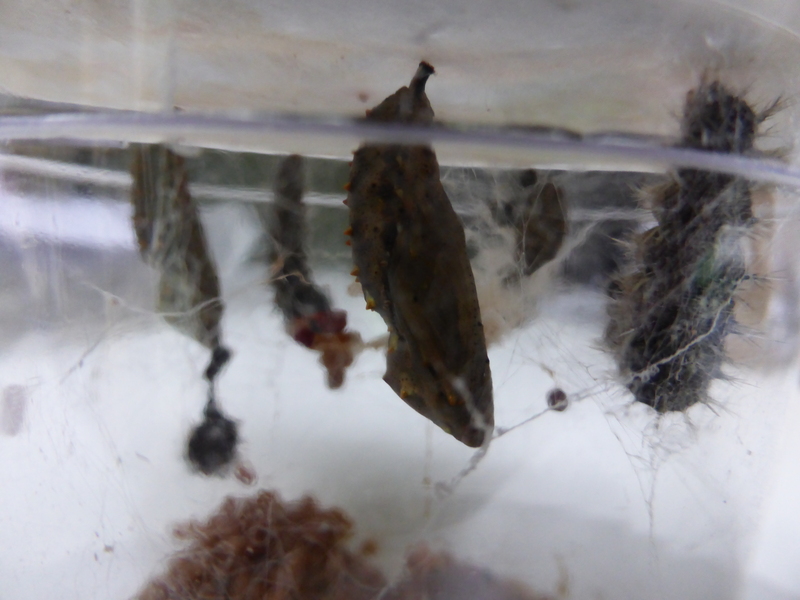 A couple of days before the butterflies hatched, the chrysalides started turning dull and dark in colour. 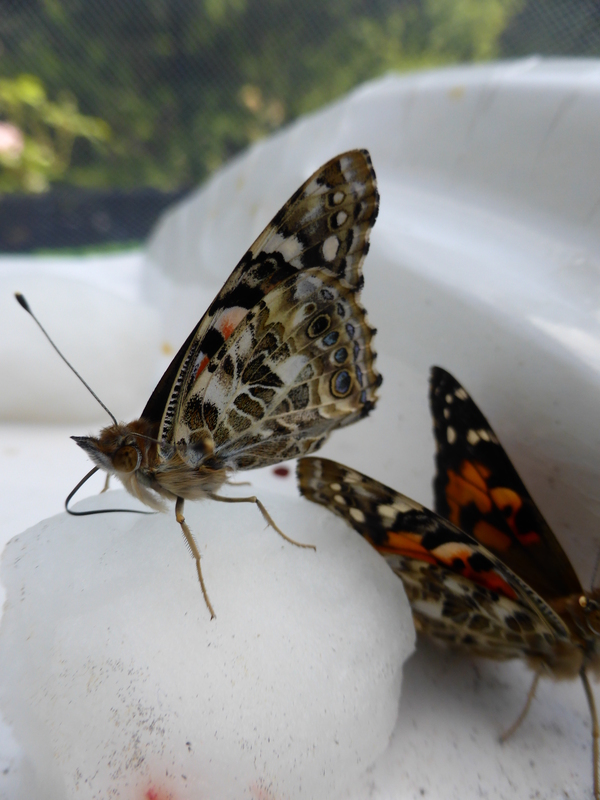 One by one, the butterflies filled up their enclosure. I gave them fresh flowers to drink from and tried them with fresh fruit, but all in vain. What they really liked was a cotton ball soaked with sugary water. Too bad these don’t grow in the wild! I tried to enrich their enclosure by including branches and flowers. Kind of like training them for the wild. Preparing them for the world outside. After a couple of days, I knew it was time to let them go. I was looking forward to seeing them flying free in our garden, where they’re meant to be. But I also felt sad at the same time. 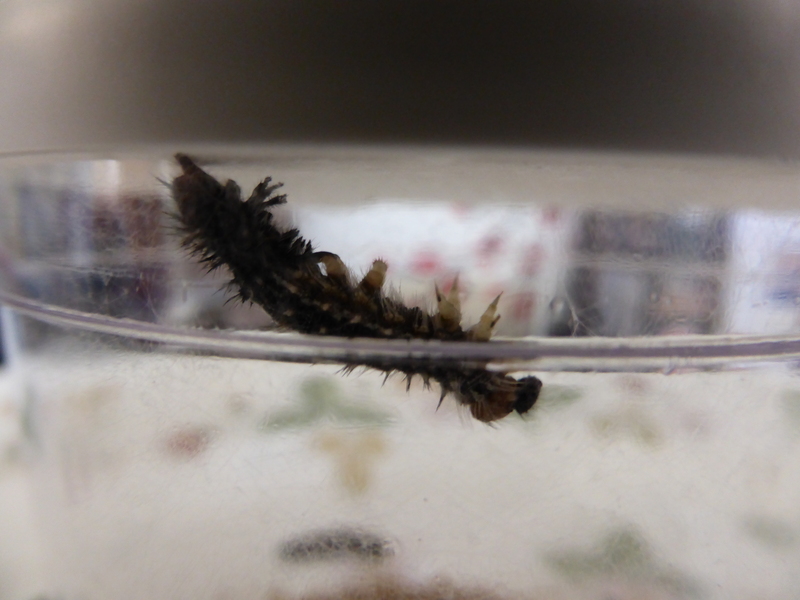 I hadn’t expected much from the box of little caterpillars that came through the post, and I certainly didn’t expect to form a bond with an insect. 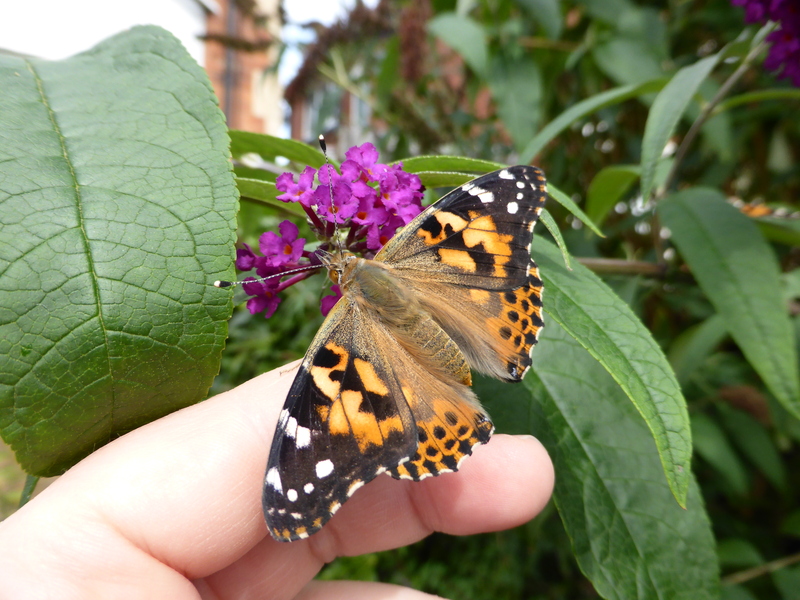 But I had grown attached to them, and I had really enjoyed looking after them and watching them grow into beautiful butterflies. 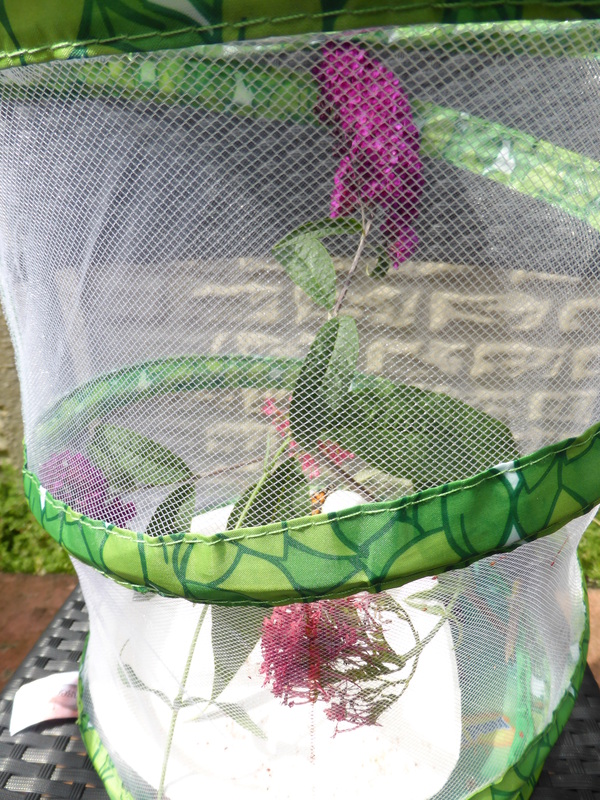 So it was a proud moment when I took their enclosure into the garden to let them fly free, but it was bittersweet too. One thing that really struck me as I opened the butterfly enclosure was that these butterflies had no fear of me, and they all needed picking up and releasing by hand. 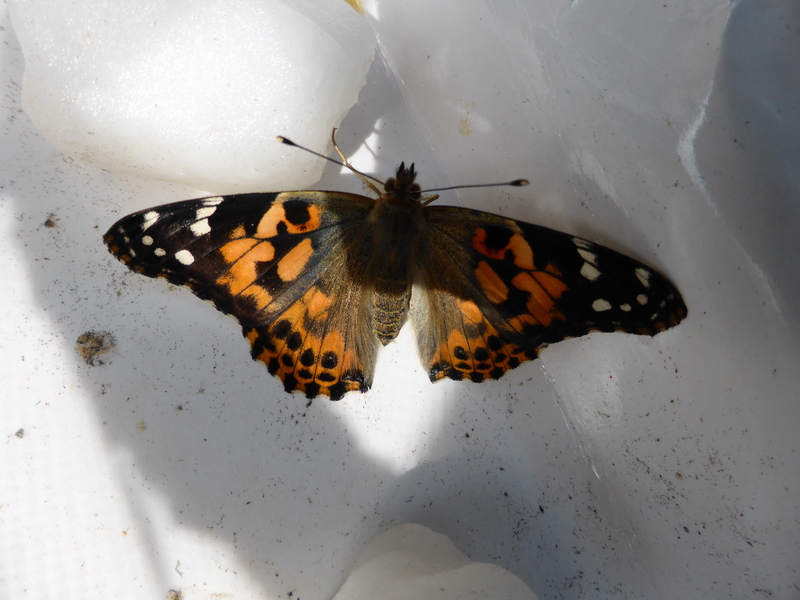 The butterflies stayed in our garden for a few days, and gradually we saw them less and less as they began to explore their area. 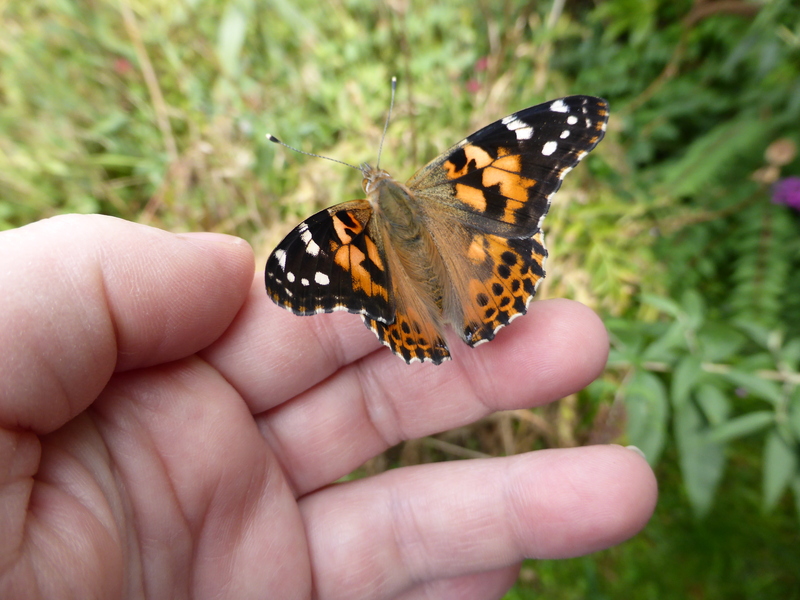 But a week or so later, a single Painted Lady flew up against the dining room window, rested there and then fluttered off. I know that this species migrates all the way to Africa in the autumn, so I like to think that maybe she was saying goodbye. Empty nest syndrome aside, raising butterflies was a great experience and I think I’ll do it again next summer. Or maybe even a few times. Who knows, I might even fill the garden with butterflies!